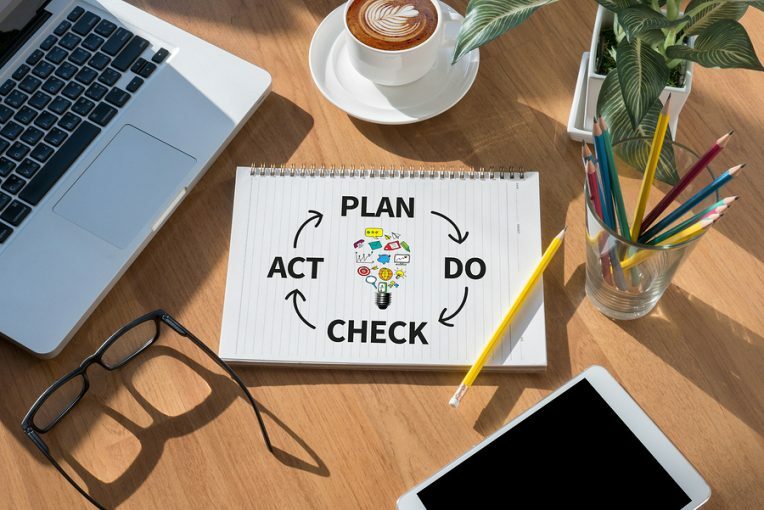 Plan, Do, Check, Act (PDCA) – is a well-known and respected approach to helping teams plan and implement a solution to a problem, often testing it on a micro scale and reviewing the results before agreeing how to proceed. PDCA encourages an engaged, problem-solving workforce – the method is not limited to managers, but can be used across the organizational structure, using combined knowledge and experience. This helps business to innovate through creative problem solving. An ethos of problem solving evolves and a culture of critical thinkers emerges. 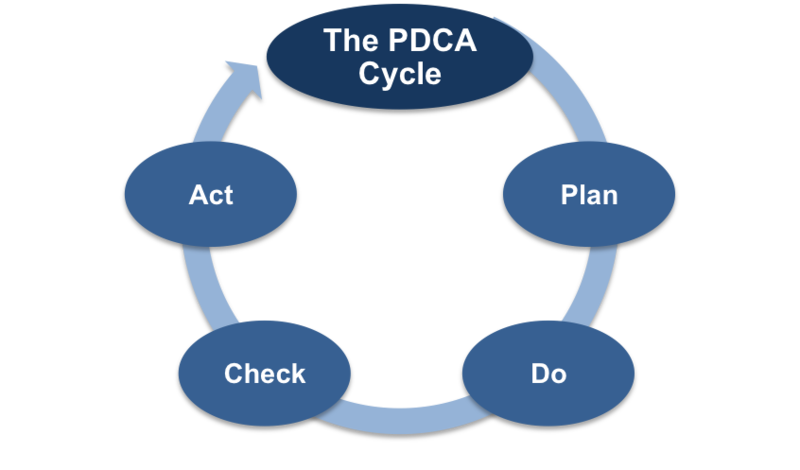 Although it stimulates organizational problem solving, PDCA is not a problem solving approach as such. It is more of a planning and implementation method. It can be used as part of other problem solving techniques like Six-Step Problem Solving or Simplex. The easiest way to think of it is a prototyping model. But it can be used for larger projects, where testing is not feasible – for example, if a business has already bought new, expensive equipment to solve a problem, then the implementation has to be on a large scale. However, PDCA could be used to solve the problem of which processes and procedures need to be used to get the most out of it, through small scale trials. Usually the Problem Solving Group (PS) has already identified what they want to solve and the changes they would like to make. This may include how outcomes will be measured, or a specification. PDCA would then drop into any planning and implementation phases. The method comprises four steps. This first stage clarifies the objectives of the chosen solution, and will identify which processes need to change (the problem will have already been defined, and a solution proposed using other problem solving techniques). The PS group will plan how the solution is tested, and forecast what is expected to happen during the PDCA the cycle. This will result in a set of outputs, and usually set a baseline for improvement. Focused work at this stage includes agreeing what data is to be collected, what resources are needed, and the actions that will take place and when. The PS group will then decide where the trial run will be held. At this stage ‘before’ data is collected for later comparison in the ‘Check’ step. A hospital wants to implement a new ER admissions model, to assess and treat patients more quickly. The chosen solution is a new assessment package, using nurses based in reception. The plan defines what will be in the assessment package, collates existing admission times – forming the baseline. The PS Group decides it will begin with one test, between 2-3 pm, over 4 days, and assigns resources. This involves physically implementing the solution, and collecting data for analysis in the next step, observation and project management. This step should also include oversight to ensure that the solution is implemented as per the specification. The new assessment package is designed, and 3 nurses are trained in it. They then conduct the assessments as planned, with an observer recording data on the new process. This step is about analyzing ‘before’, ‘during’, and ‘after’ data to see what can be learned. (Another name for this step is ‘Study’). ‘During’ data is easy to overlook, but any plan is implemented in phases, and if issues are to be found and identified quickly, these actions need to be measured. Not only will the process be observed qualitatively as well as quantitatively, feedback can be gathered from the end users of the solution. The data from the observations, and feedback from staff is analyzed, and compared to the baseline. Issues and successes are identified. If the ‘Check’ demonstrates that the ‘Plan’ phase was implemented effectively and improvements can be seen on the baseline, then a new baseline is created and the cycle returns to ‘Plan’, using the new baseline. If ‘Check’ results infer that there has been no improvement from the ‘Do’ phase, then the existing baseline continues in place. In either scenario, if ‘Check’ reveals something different from expected (whether it has out-performed or underperformed), then it identifies that more learning is needed. This may even result in the returning to the overarching problem solving technique, and the process of problem identification and definition, using the chosen problem-solving model. Adjustments or corrective actions should not be undertaken at this stage, and should never be done without a formal ‘Plan’ phase. Additionally, the baseline should not be changed from verified one, discovered in ‘Act’. The PS group, based on the data, decide if the assessment package has helped or hindered the admissions process. Whatever is decided, the process needs further modifications, based on the learning from ‘Do’ and ‘Check’. The cycle then integrates, on a wider scale, as it is refined and improved. Once the project achieves the desired outcome, the PDCA cycle is complete. Staff are more willing to try a new solution, if they know it is not a fait accompli – especially if modifications are based on user’s feedback and views, as well as measurement. The method creates acceptance and ownership in the end user as confidence in the solution grows quickly, as mistakes are rectified as part of the process. The model allows potential solutions to be implemented on a small scale, and ascertain how effective they are. Importantly this model provides an opportunity for learning why something isn’t working before it is fully implemented. It involves a wide range of people across the organization, and provides a range of perspectives. PDCA was originally developed for industry, where prototypes are typically developed and tested before a product goes into production. However, the method has much wider applications and ensures that problem solving is not about finding perfect solutions: it is one of refinement. If a solution works, you can build on it. If a solution fails, to deliver the expected results, it can be tweaked or entirely re-designed. This can all be done without committing large amounts of resources to implementing a faulty solution. Plan – Understand the existing situation and then establish the objectives and processes necessary to deliver results in accordance with the target or goals. Do – Implement the plan. That is, execute the planned process. Check – Study the actual results of the previous phase and compare them against the expected targets or goals to discover any differences. Look for deviation from the plan in implementation and also look for the appropriateness and completeness of the plan to enable the execution. Convert the collected data into a form that can be used in the next step. Act – Where there are significant differences between actual and planned results request corrective actions. The process in itself is quite simple, but through repeating it there is a chance to ensure that processes are improved quite dramatically. Advantages of this approach include the fact that staff are more willing to try a new solution, if they know it is not a fait accompli, especially if modifications are based on user’s feedback and views, as well as measurement. It allows potential solutions to be implemented on a small scale, and provides an opportunity for learning why something isn’t working before it is fully implemented. PDCA is not about finding a perfect solution straightaway. If a solution works, you can build on it but if it fails then it can be tweaked or re-designed.